Earlier this year, Andrew LeMar was recognized as the William J. Hibbler Memorial Pro Se Assistance Program Volunteer of the Year. Andrew is pictured above with Legal Assistance Foundation of Metropolitcan Chicago (LAF) staff attorney Karen Doran. 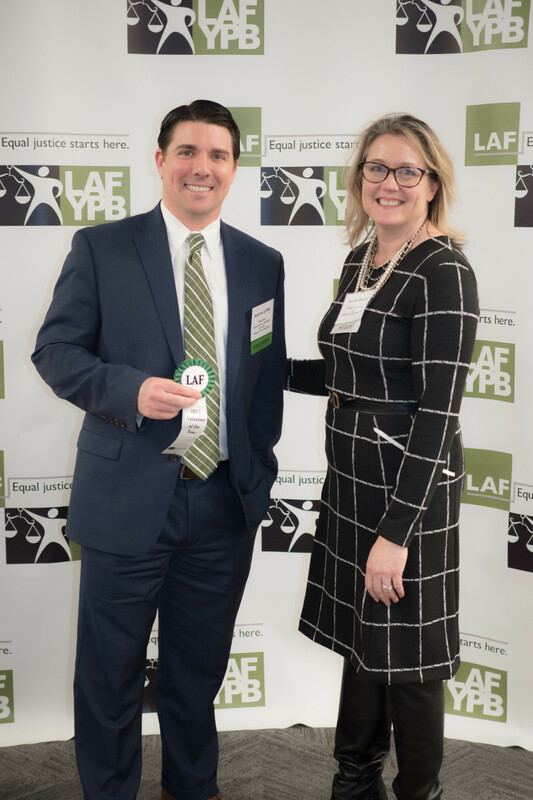 Volunteers greatly increase LAF’s capacity to serve low-income and otherwise vulnerable populations in Cook County and Andrew has been a reliable volunteer at Hibbler for many years, helping people without lawyers navigate and understand their federal lawsuits. Many pro se litigants specifically ask to meet with him. Congrats, Andrew!